On Wednesday, 5/31/2017, US District Judge Hon. Robert W. Sweet denied a bid by the City of New York to dismiss key assault and battery, excessive force, and failure to train claims in Edrei, et al. v. City of NY, et al. 16 Civ. 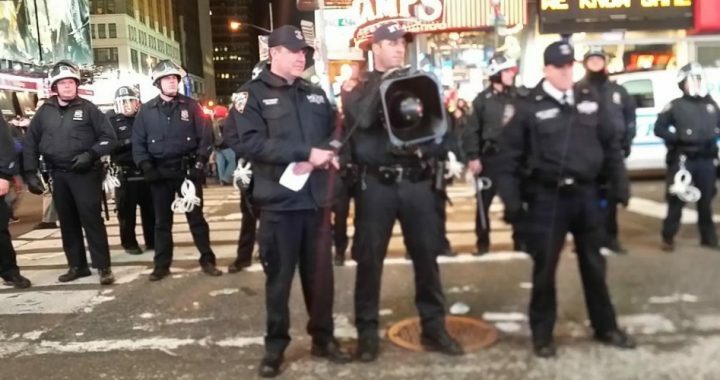 1652 (RWS), a landmark federal civil rights lawsuit against the City of NY and NYPD officers who used an LRAD “sound cannon” against Black Lives Matter protesters, journalists, and bystanders in December of 2014. Judge Sweet appears to be the first in the United States to issue a written decision in a case involving an LRAD use. Rejecting the City’s arguments that the LRAD is essentially a loud bullhorn that can be safely used as such without using “force”, Judge Sweet held that the use of “amplified sound can constitute force” and that “sound can be used as a force… and the kind which could be used excessively” by police in a manner that violates the United States Constitution. Judge Sweet explained that that “as a projector of powerfully amplified sound[, the LRAD] is no different than other tools in law enforcement’s arsenal that have the potential to be used either safely or harmfully” such as so-called “flash bang” and “stun” grenades, which can “result in comparable bodily injury if used improperly” – including if they are used without proper training. The six Edrei Plaintiffs include several journalists who were observing protests responding to a Staten Island Grand Jury’s decision not to indict NYPD officer Daniel Pantaleo in the death of Eric Garner, when police repeatedly fired the LRAD’s “area denial” tone at them. In addition to monetary damages related to hearing damage, headaches, and other injuries, the Edrei Plaintiffs are seeking an injunction that would prevent Defendants from further “deploying and using LRADs without first conducting and/or designing and implementing research, testing, guidelines, training, documentation requirements, and/or supervision sufficient to ensure” that any future NYPD uses of LRAD’s will be constrained by meaningful, written, and publicly available guidelines. Plaintiffs are represented by Gideon Orion Oliver, Elena L. Cohen, and Michael Decker. Oliver and Cohen are former Presidents of the National Lawyers Guild (“NLG”)-NYC Chapter. All three are members of the NLG’s National Police Accountability Project. “[B]ased on the written allegations and video evidence” from December 5, 2014, Judge Sweet held that it could be “plausibly inferred that the use of a high-powered sound magnifier in ‘close proximity’ to Plaintiffs was not appropriate.” Judge Sweet held that the protest was “broadly in control” such that “there was disconnect between Defendants[‘] need to use a powerfully loud device like the [LRAD] X100 ‘indiscriminately’ and ‘almost continuously,’ within ten feet of Plaintiffs” and “the harm alleged to be resultant from its use to those in close proximity.”. Judge Sweet also rejected the City’s argument that Defendant police officers only acted reasonably to achieve necessary crowd control objectives. He reasoned that, while, crowd control “was part of” the officers’ objectives, “by deliberately pointing and angling [the LRAD] at Plaintiffs and others during the protest”, the Plaintiffs had made a sufficient showing that the NYPD officers “knew, or should have known, that Plaintiffs would be harmed,” entitling them to move the lawsuit forward. The Opinion, and other relevant papers filed in the case, can be found here (link to expire 6/3/17). Video of the December 5, 2014 LRAD uses that led to the lawsuit may also be made available. Posted in Announcements, NLG Blog and tagged Black Lives Matter, LRAD, NLG-NYC, NYPD, Police, police brutality, Protest.